I don’t care if it’s a cheesy romance and probably entirely unlike Veronica Franco’s real life. I enjoy the movie Dangerous Beauty. For one, we get to see poor Murron from Braveheart alive and well as a fiery redhead. And then mainly, I find the movie’s interpretation of Renaissance-period courtesan-wear to be extremely fun. YES, cortigiana onesta (“intellectual courtesans” vs. their more street-walking counterparts, the cortigiana di lume) should be considered more as geisha and would not have worn arm-baring sleeves or shocked the nobility by wearing overskirts without underskirts…well, I’d assume in public, anyway. The scene where Veronica is at court with everyone because the French king has come for a political meeting/really just wants to bag one of these famed courtesans is one of the times where the weirdness of this stands out, but far be it for me to judge creative exploration in what I find a fun, frivolous little film romp. Marco has just told her if she scrapes any lower she’ll have shoes for earrings. PUH-LEASE! Have fun listening to your wife recite the Psalms, Marco. Props to this lovely blogger of Costume Captures, whose site is where I borrowed this image, and has done such a nice job capturing a lot of the main costumes from the film. I have loved this dress since I was about 15. 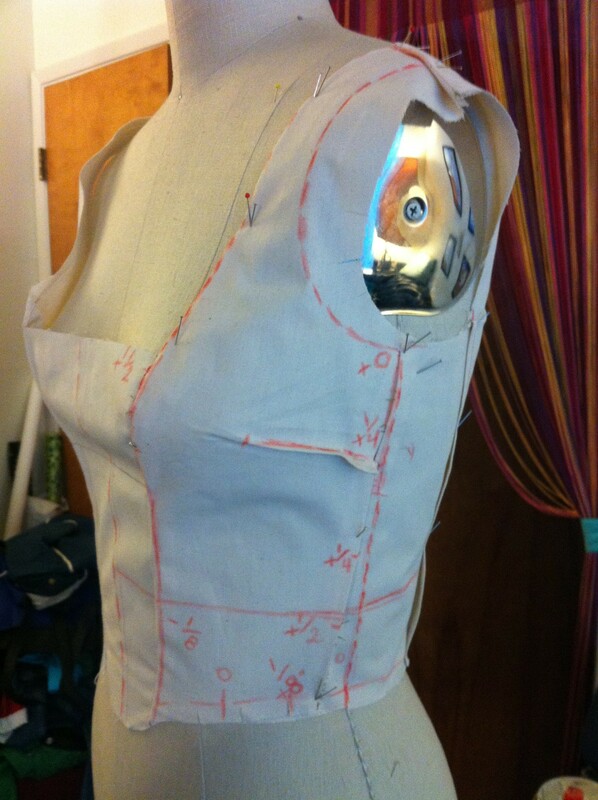 So I’m making one! There is literally no reason for me to be doing this, so I will probably languish over the project to my little heart’s content and will post progress as I go. 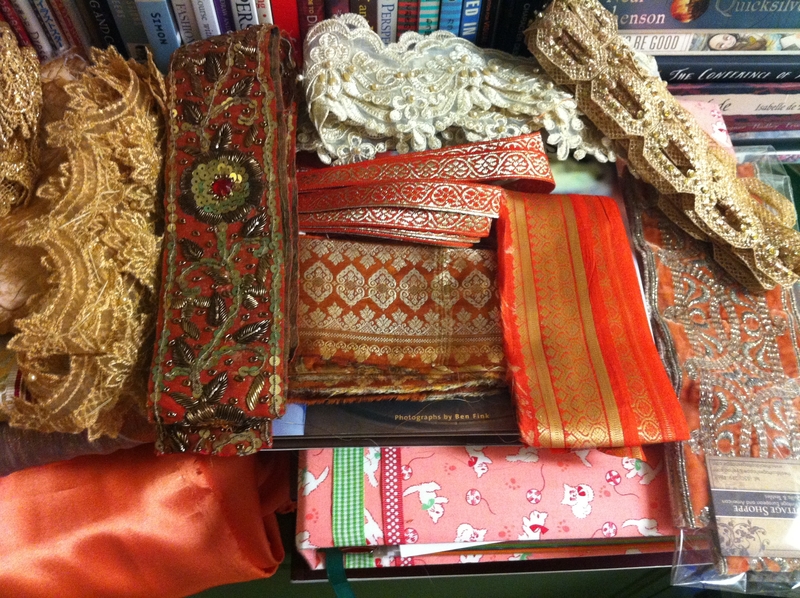 To inaugurate the project, allow me to show you my fabric and trim collection for this. 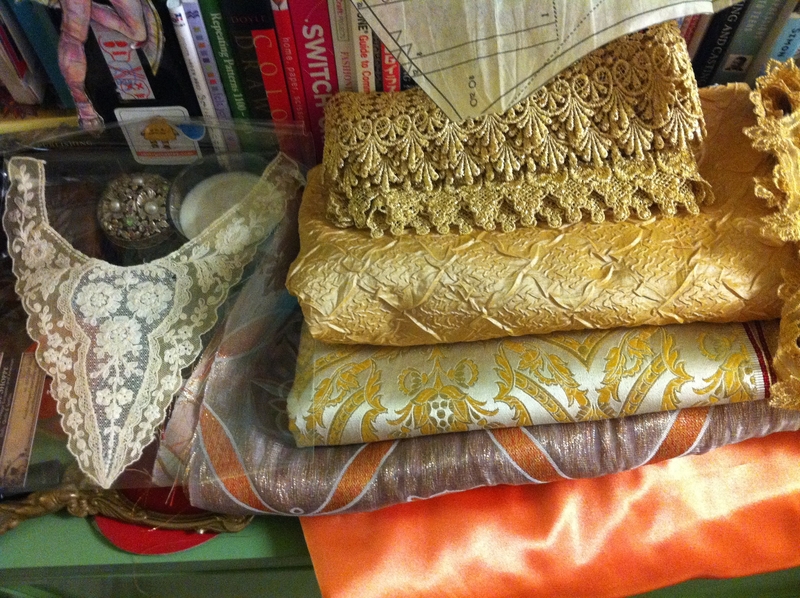 There is enough stuff here to design about eight dresses, so consider this like a mood board. 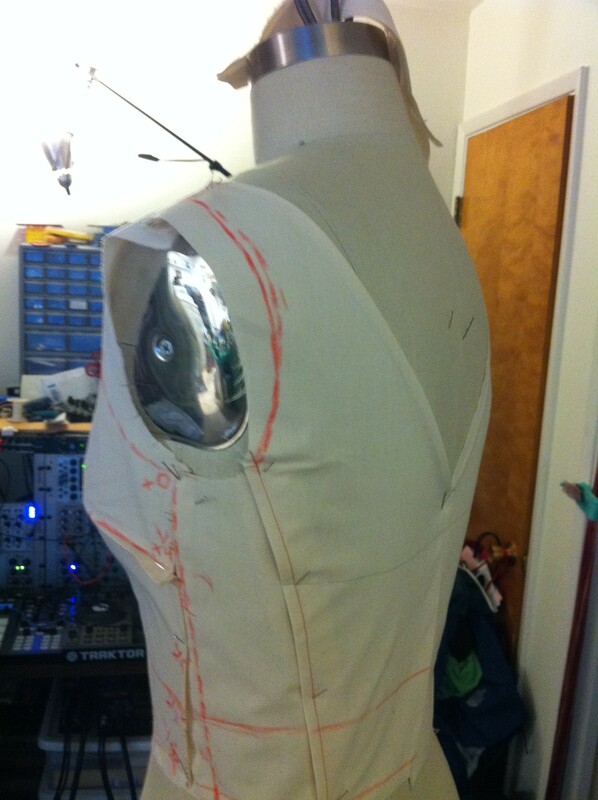 It will not all be used on this project, but it all inspires me! 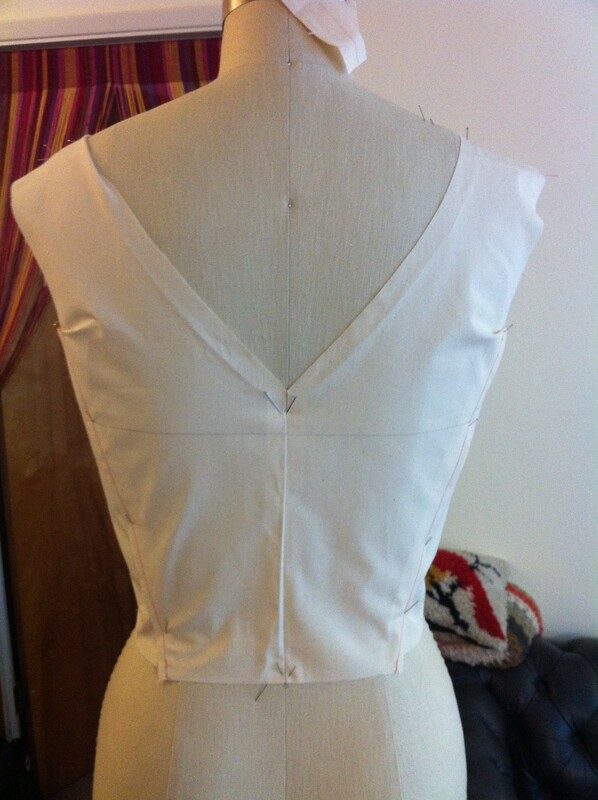 My typical first muslin usually goes down something along the lines of, how the h*** did I screw this up so badly? But, that’s okay. 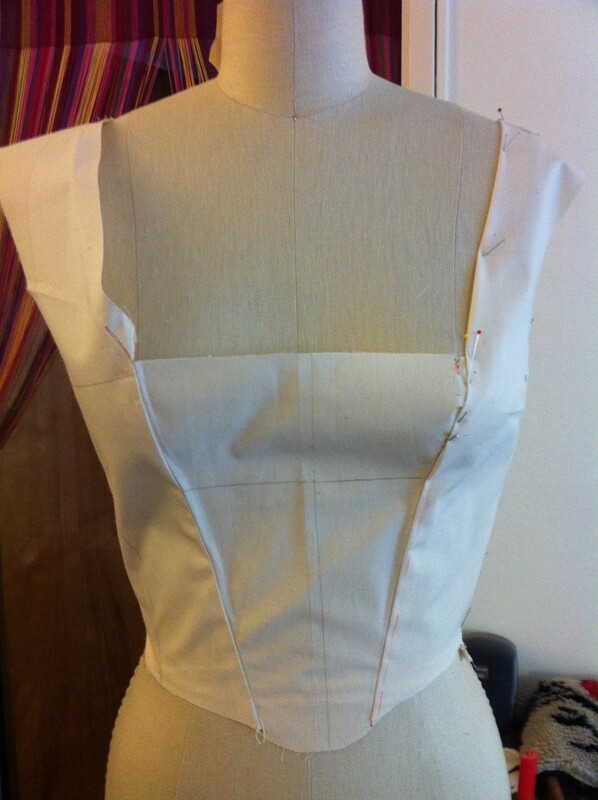 I just usually have to do few, so here’s some before and afters of my bodice muslin. 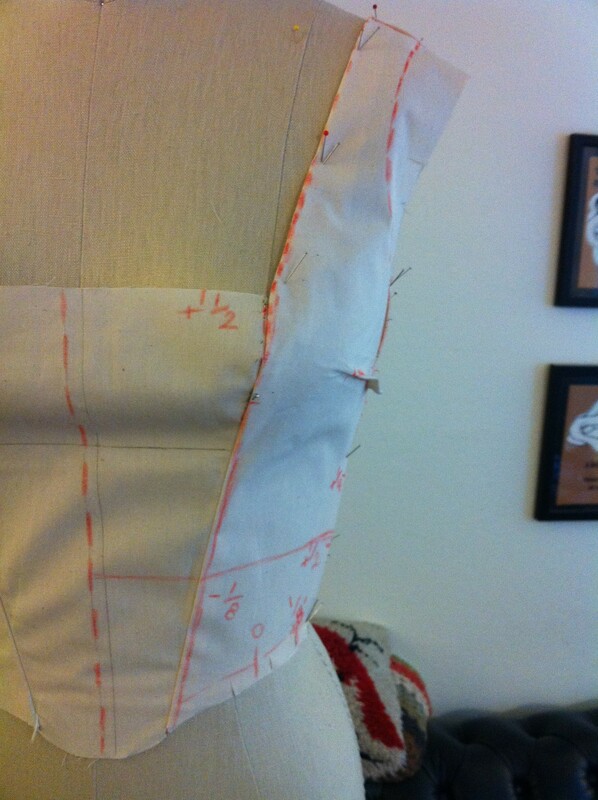 It’s so baggy in the bust (go crappy Simplicity pattern I started out with and tweaked), but then you can see where it’s pinned back into shape and later marked up for tracing.